The nights in the city have been getting colder making me yearn for some good soups. 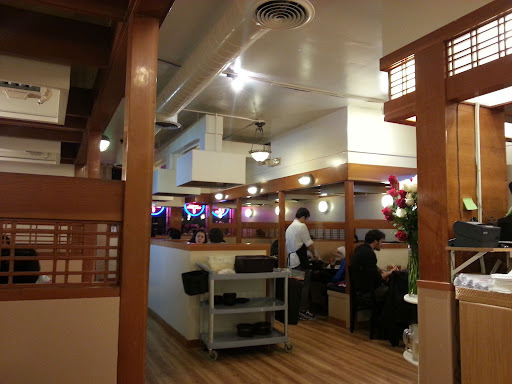 Most of the Korean spots are in the Sunset and the Richmond district of San Francisco. My Tofu House, one of the more popular Korean spots in the city, is best known for their soondubu aka tofu soup. The restaurant closing time is usually 10p, but they stop serving food and seating people 30 minutes before the closing time. 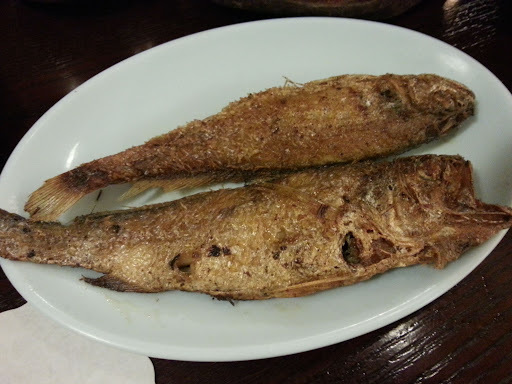 The grilled fish have a crispy exterior and a light delicate flavor. 6 banchan (panchan) here including the grilled fish (from right;clockwise): kimchee, spicy radish, fishcake, pickled cucumber, beansprouts. All the banchan were pretty average with no standouts. The fishcake and the pickled cucumbers are always my favorites. There are numerous choices of tofu soups here. The assorted mushroom tofu soup comes with button, enoki, and oyster mushrooms. I ordered it very spicy, but the spicy level came out pretty mild. Also, both the mushroom and the soft tofu was a little sparse. Overall, its the best that I've had in the city, but I still prefer so Gong Dong Tofu House in Palo Alto (see post HERE). The beef bibimbap here has a raw egg instead of the commonly seen fried egg, which was a pleasant surprise. The stone pot is heated nicely so it made for some really good crispy bits of rice.